Seconds after I took this photo a man rushed out of the café. He said I’d have to give him £100 to take his photo. But I didn’t want to photograph him, only the bike. Besides, I said, I don’t make money out of doing this. I added that I’ve been photographing in Peckham for years because I love Peckham. ‘Oh, you love Peckham, that’s alright then,’ he said. Peace restored, I walked away from the upside-down tangerine bike and the land of Ozzies. 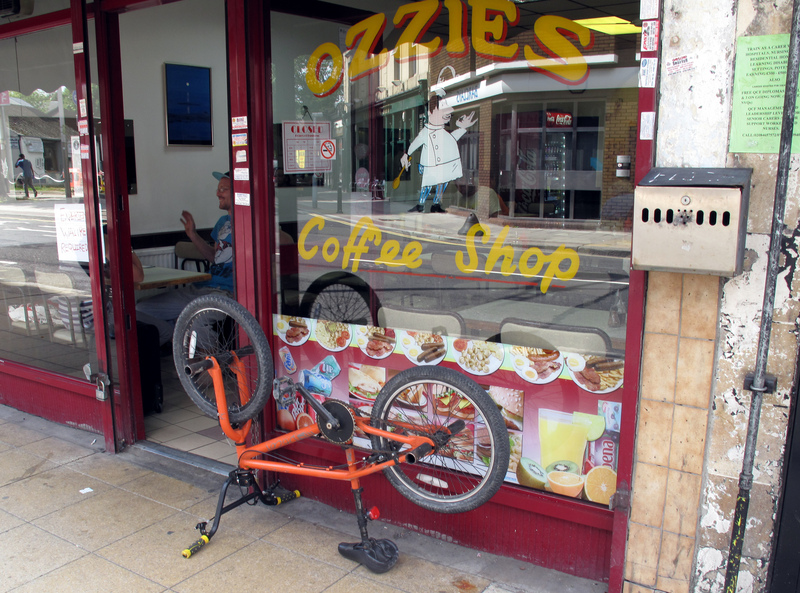 This entry was posted in Uncategorized and tagged Ozzies, Peckham, Rye Lane, street photography. Bookmark the permalink.